"I thought I would only dance with you for a moment... But we're just beginning. I have not yet... tasted enough, I have not had my fill!" 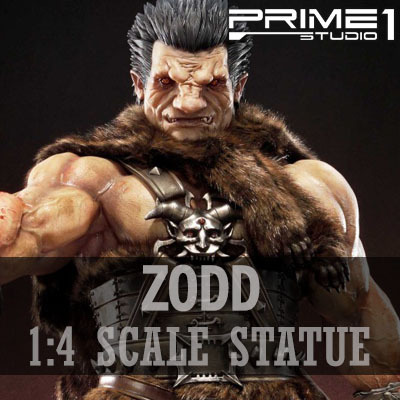 Prime 1 Studio is proud to present UPMBR-02: Nosferatu Zodd in Human Form from Berserk. Nosferatu Zodd or Zodd the Immortal is a legendary sword master and recurring anti-villain throughout the series. Any battle in which he participates results in mountains of dead. He is a powerful apostle who travels from battlefield to battlefield seeking ever-stronger opponents. He serves as the rival of both the Skull Knight and Guts. This Ultimate Premium Masterline Berserk series brings to life the popular Japanese dark fantasy comics/manga and crafted with attention to details and true to the original design of the character. Nosterafu Zodd statue including the base stands at an impressive 35 inches tall from the head. This will be a great companion piece with UPMBR-01: Guts, The Black Swordsman.